With our LEGO Education, Minecraft Education and Digital Skills we’re delivering workshops and promoting Space Science in Schools and Communities, and provide news about local opportunities in the Space Sector on our website, Facebook and Twitter. We also produce and share our lesson plans, curriculum resources, handouts and other materials available for free on our e-learning platform. Our goal is to provide opportunities to young people throughout North Wales opportunities to use our LEGO Education resources and expertise to encourage learning about the Space sector and for everyone to find out about local opportunities in their communities throughout North Wales. Our sessions are delivered in fun and exciting ways, which is an ideal way of engaging and improving skills. Contact us or call 01745 33 44 82 if you would like to find out more about our range of Space Education Workshops. We also provide custom tailored sessions and mobile learning to suite your requirements for any activities. The G2G Communities CIC ‘All SySTEMs Go’ project, supported by the National Science Academy (NSA) and Welsh Government, will run between January 2016 and March 2018. It will use LEGO Education robotics and other resources to highlight the potential of STEAM related education, training and employment with regard to the new opportunities expected as part of the Welsh Space Strategy. As a LEGO Education Innovation Studio G2G Communities CIC will be using a range of LEGO; iPad, Minecraft, Kerbal Edu, and other resources to make STEAM fun and exciting. Would you like us to visit your school? From now until March, 2018 we will be visiting Schools in and around North Wales to deliver enrichment activities as part of the All SySTEMs Go Project. Using our LEGO Education and other resources we will be providing Key stage 2 and 3 students and teachers the opportunities to build robots, learn programming and explore the careers available in the Space Sector. We are one of eight organisations across the UK to be awarded for exciting new education and outreach activities projects. The UK Space Agency are delighted to be able to support these projects, which represent a diverse selection of cross-curricular activities that meet it’s education objectives in encouraging children to take up STEAM subjects, raise awareness of careers in space-related areas, and raise awareness of the UK’s exploration programme. G2G Communities CIC is working in partnership with the NSC to promote the space industry across North Wales and the North of England. The NSC is comprised of passionate professionals from across a broad range of disciplines, from environmental consultants to bona fide rocket engineers, IT experts, industry legends and entrepreneurs. 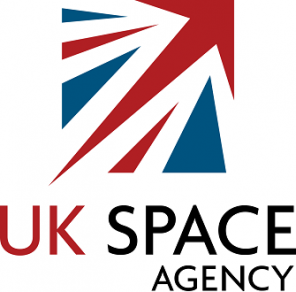 The Northern Space Consortium is the only advocacy group in the North of England dedicated to informing & introducing new and existing businesses to the tremendous opportunities presented by the well established, yet rapidly growing, UK space industry. Our aim is to engage, connect and coordinate with a range of businesses from multiple industries so as to help them take full advantage of the £40 billion opportunity envisaged in the UK by 2030. We have a range of Space STEAM materials, lesson plans, curriculum resources and handouts which are available on our website. Like our Space Projects Page on Facebook.com/SpaceSTEM or follow us on Twitter.com/G2GCommunities. Filter the resources below by clicking the text buttons, click an image below to find out more information. Check out our latest posts below from Facebook.com/SpaceSTEM and Twitter.com/G2GCommunities to see what we are up to, and how we are using LEGO Education to promote Space & Science. Call us on 01745 334 482 or contact us to find out more.